Homesecure 24hr Ltd provide a fast and trustworthy locksmith service throughout Northamptonshire, Leicestershire, Bucks and Beds. Because with 20 years of trading we know how stressful it is to have a key stolen or lost and the worry you have about the security of your premises. Plus we know of the frustration and inconvenience of being locked out of your property. That's when you need a rapid and reliable response and unlike others who will only send an agent, we despatch our own 24 hour locksmith quickly to your location and always with no call out charge - day or night. We are also there when you don't need an emergency locksmith but when you need a lock changing. Perhaps you are having trouble with a lock, it's much easier and cheaper to replace a faulty mechanism now than when it does eventually fail, typically with you on the outside. 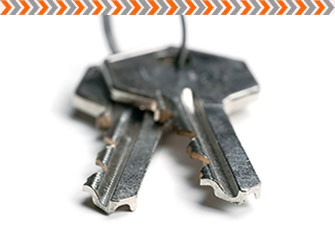 If you are moving home, you may want new locks fitted because you can't be sure the previous owner handed back all of their keys or as a landlord you can't be sure a previous tenant didn't take copies with them. And don't forget about window locks and glass door locks. As experienced glaziers we can easily repair or replace handles and locks to UPVC double glazed windows, conservatory doors or patio doors. your property and help keep everybody else out.